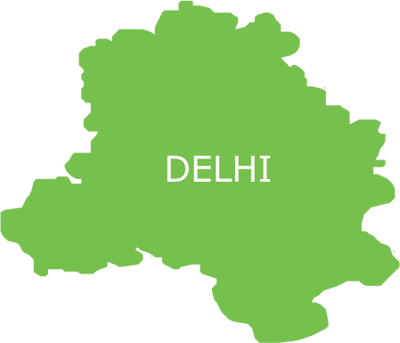 Delhi, the capital of the Nation is undoubtedly one of the most powerful cities in the country. Though the city has the best of medical facilities, the urban poor population living in the capital faces a grim health situation, which does not get reflected in the commonly available health statistics. The impoverished population of the city is vulnerable to health risks due to consequence of living in a degraded environment, inaccessibility to health care facilities, irregular employment and widespread illiteracy. Furthermore, a significant proportion of slums is not listed in the official records, and thus remains outside the purview of public health services. The gloomy health situation is reflected in the urban poor population of South Delhi. Communicable and vector borne diseases, such as tuberculosis, malaria, dengue and chikungunya are prevalent in the region. Poor environmental conditions, overcrowding and malnutrition make the urban slums prone to communicable and vector borne diseases, such as tuberculosis, malaria, dengue and chikungunya. In this time of despair, Smile Foundation joined hands with United Health Group to reach out to the underprivileged. Smile Foundation is rendering its services in the urban slums of South Delhi through Medical Mobile Unit and specialized Health Camps supported by United Health Group. Providing the underprivileged with preventive, promotive and curative health services was the primary aim of the initiative. 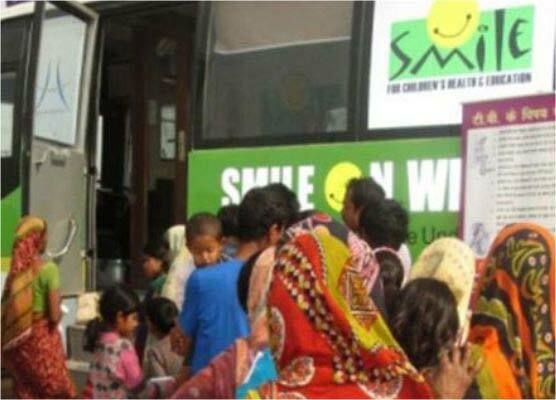 Smile Foundation, through its Mobile Health Unit delivered medical services at the doorsteps of the underprivileged people. Gender inequality being a primary deterrent in the upliftment of the society as a whole, had to tackled while delivering the health services. Smile Foundation with its doorstep facilities was able to reach out to women, the most neglected strata of the urban poor society. For community mobilization, several IEC activities were conducted. People were sensitized on health related issues through health camps and several street plays. For better implementation of the project government officials and community stakeholders were roped in. Regular health checkups and pathological lab tests conducted in several OPDs organized in South Delhi. Overcoming the social barriers, Smile Foundation reached out to a larger part of the urban poor population, which included 72% women beneficiaries. Lab tests for blood group, hemoglobin, sugar and diseases like malaria, chikungunya and dengue were done for proper diagnosis of the patients. Recorded data of the disease pattern indicates that people were treated for more than 14 prevalent diseases. Filling the gap between the community and the government, patients were referred and also given information on government hospitals they could avail affordable medical services from. The Smile Foundation Team conducted various awareness sessions on diseases like TB, HIV, RTI/ STI, and also basic health & hygiene for the community. During the reporting period, eight street plays on various ailments and health issues like Swine Flu, Immunization, Institutional delivery, Sanitation and hygiene etc. were organized. 1302 PATHOLOGICAL TESTS WERE CONDUCTED SO FAR.